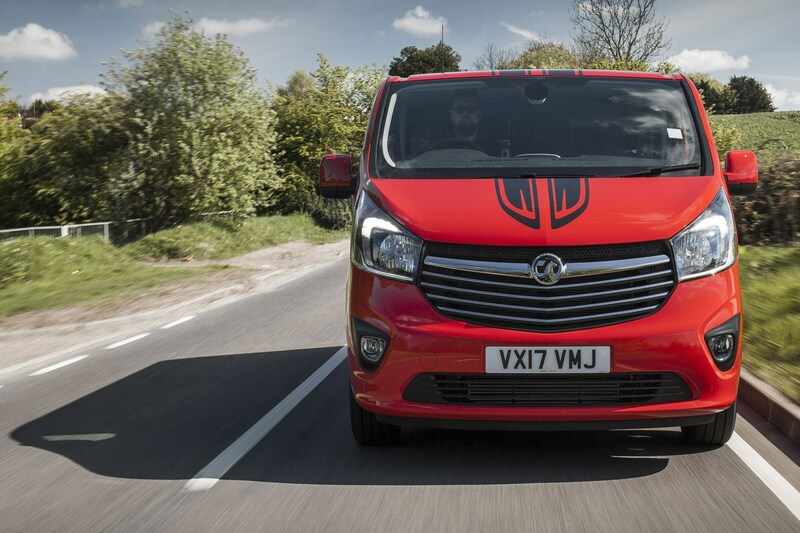 In the original press release, this Vauxhall Vivaro Limited Edition Nav was described as ‘the ultimate Vivaro’. 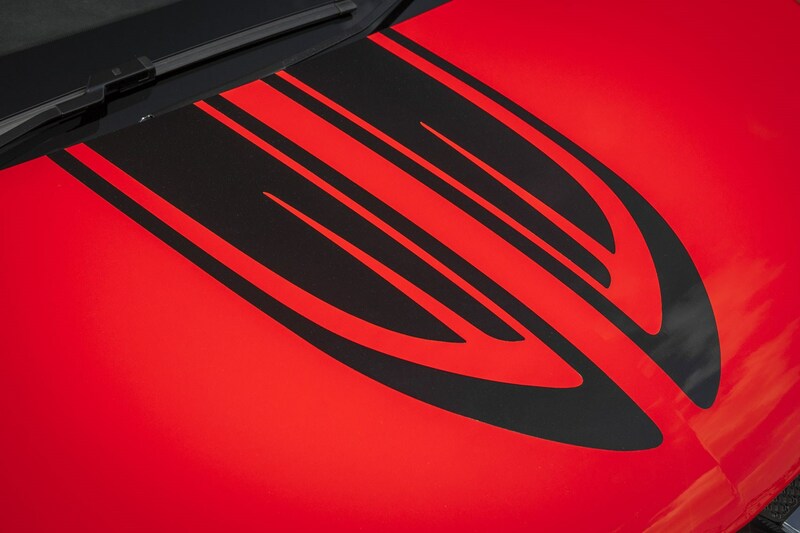 Big talk – especially for a van that’s been unfortunately lumbered with graphics that look like tribal tattoos from about 1997. Too harsh? Maybe. The LE Nav is clearly Vauxhall’s attempt to get in on a bit of lifestyle action. Available as a panel van and, as tested here, a Doublecab, it’s a potential alternative to the likes of the expanded Ford Transit Custom Sport range and posher versions of the VW Transporter – although maybe not the 204hp Transporter Sportline, which considerably outguns this 145hp max Vauxhall. Still, stripes aside, this is a medium van that comes loaded with plenty of standard kit to tempt you, while previous experience of the Vivaro range suggests a comfortable ride and good fuel economy are on the cards as well. So, is it time to dig out those cargo trousers from the cupboard and stand out from the crowd with this British-build mid-size van? 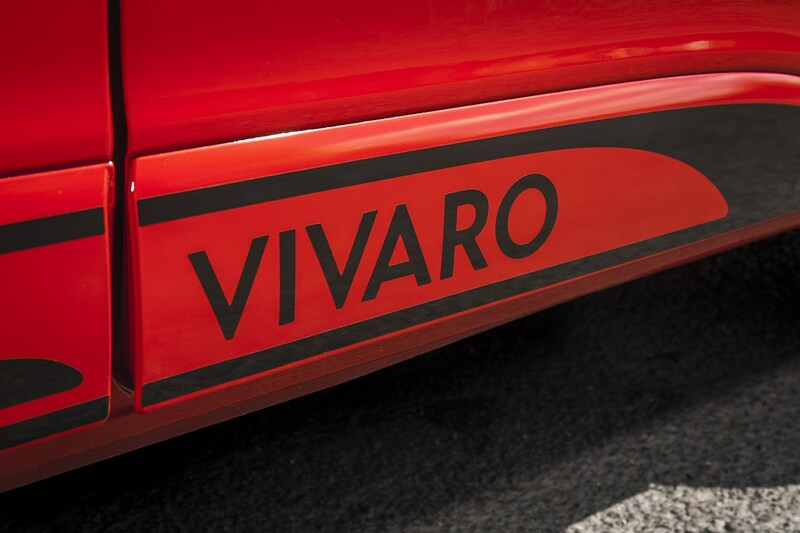 How many different versions of the Vivaro Limited Edition Nav are there? This is Vauxhall’s current top specification on the Vivaro van range, and as such it is only available with the BiTurbo engines. That means a choice of 125hp and 260Nm or 145hp and 300Nm, both provided by a twin-turbocharged 1.6-litre diesel engine. The Vivaro Limited Edition Nav we have on review here is an L2 Doublecab – meaning it has a second row of seats, enough room for six people in total – with the full 145hp. 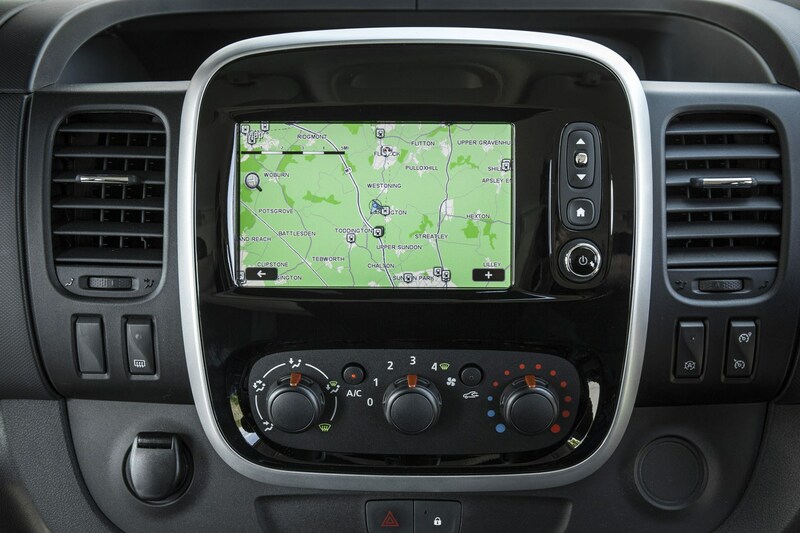 Does the Vivaro Limited Edition Nav come with satellite-navigation as standard? With a name like that, you’d hope so, wouldn’t you – and indeed, sat-nav is part of the LE Nav’s generous standard equipment list. 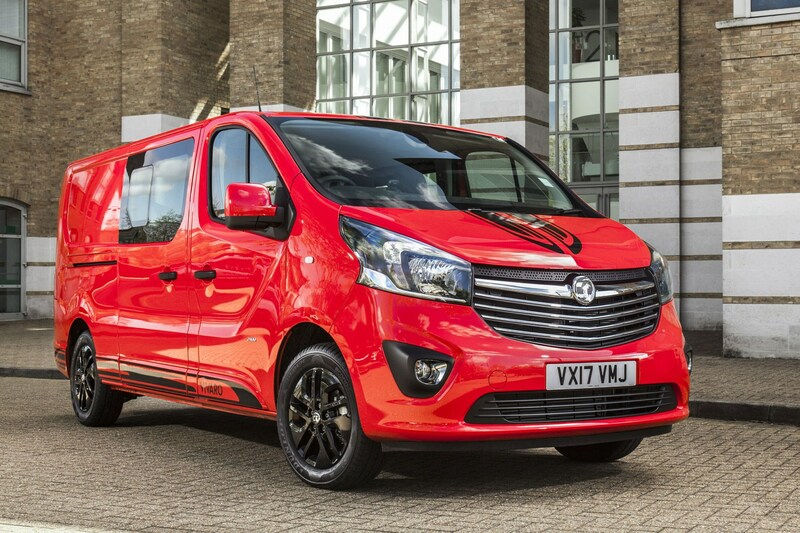 It might also be worth noting that the Vivaro Limited Edition Nav includes body-coloured bumpers, side-protection mouldings, door mirrors and rear light surrounds. So perhaps isn’t ideal if you’re not the most careful of drivers or typically operate on busy sites. 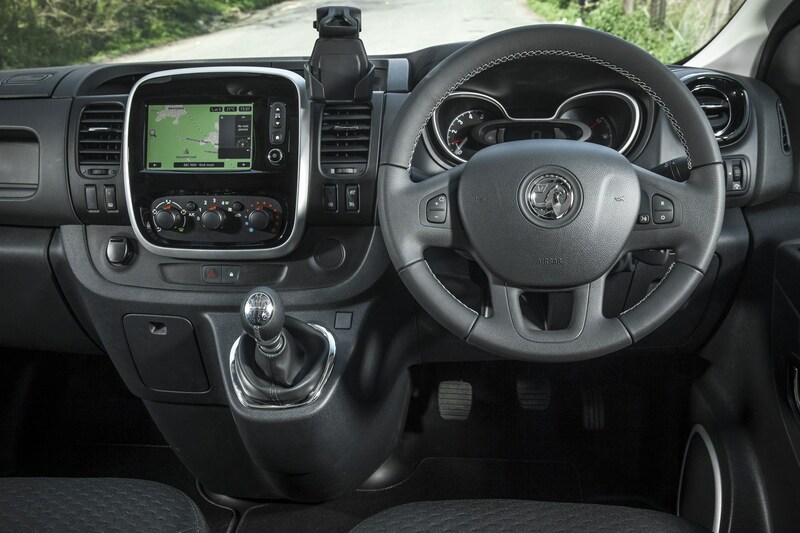 What’s the Vivaro LE Nav like to drive? We’re generally big fans of the Vivaro (and its extended family – the Renault Trafic, Fiat Talento and Nissan NV300), so had high hopes for this interesting-looking variant, especially given the high specification and powerful engine. As such, it was strangely disappointing. The 145hp engine somehow doesn’t feel as smooth and sorted as the 125hp version – although whether you should still upgrade will depend on how often you’ll be fully loaded. With four adult passengers but nothing in the load area, this LE Nav certainly didn’t feel light on its feet. Compounding this, the ride felt firmer and less forgiving than we’re used to from this platform, and the steering was heavy and therefore tiring, too. 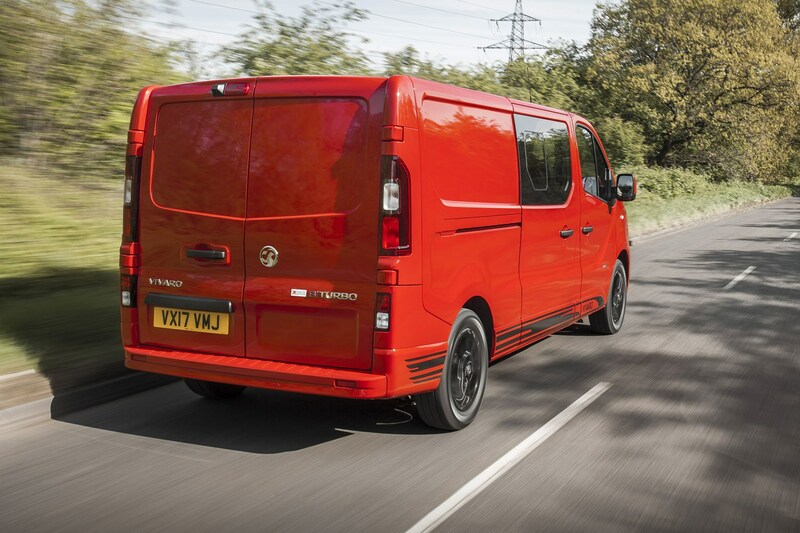 It’s still a very composed van, with little body roll in the corners and a relatively sharp and pointy front end, so threading it through city streets and along country roads isn’t difficult – accepting any issues caused by the lengthy wheelbase. It’s just not as pleasant as we were expecting. 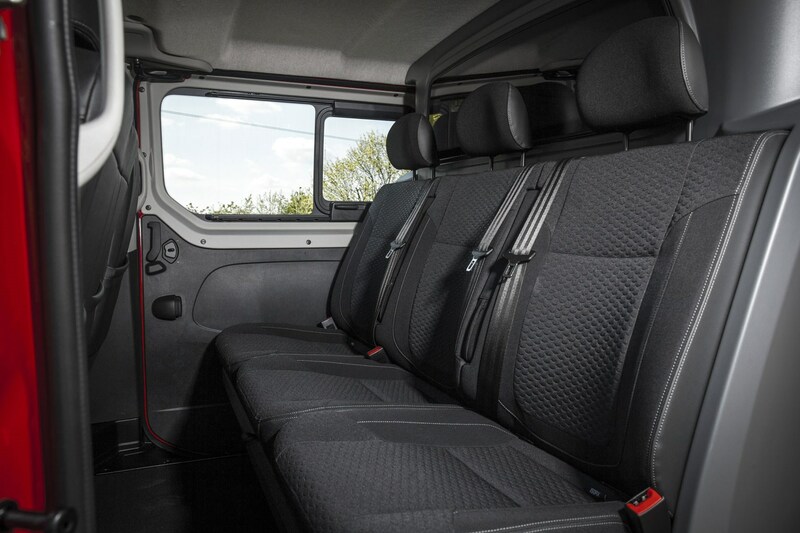 Is the Vivaro Doublecab spacious for passengers? You’ll have few complaints here. 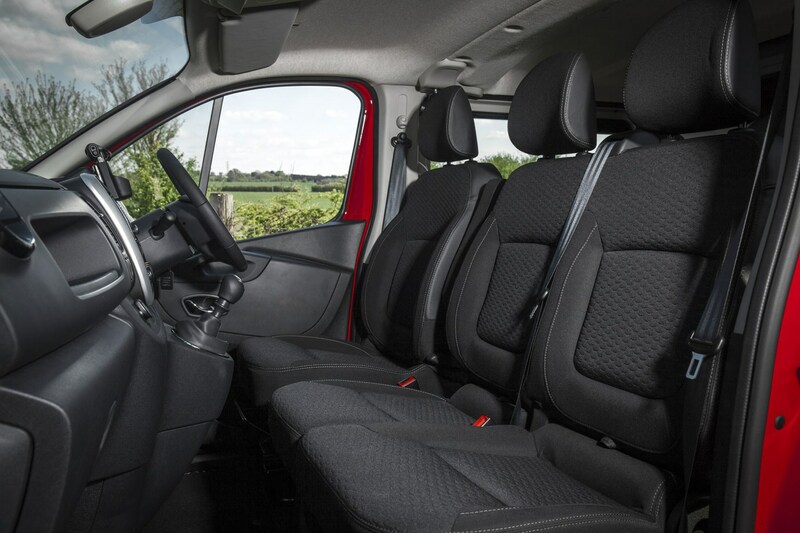 The Vivaro is easily wide enough for three adults to sit across without locking elbows, and there is plenty of leg, knee and head room in the second row. Up front you get a double passenger seat as standard on this model, and unlike some rival medium vans there is reasonable knee room to the middle front passenger, thanks to the Vivaro’s high-mounted gearlever pod. 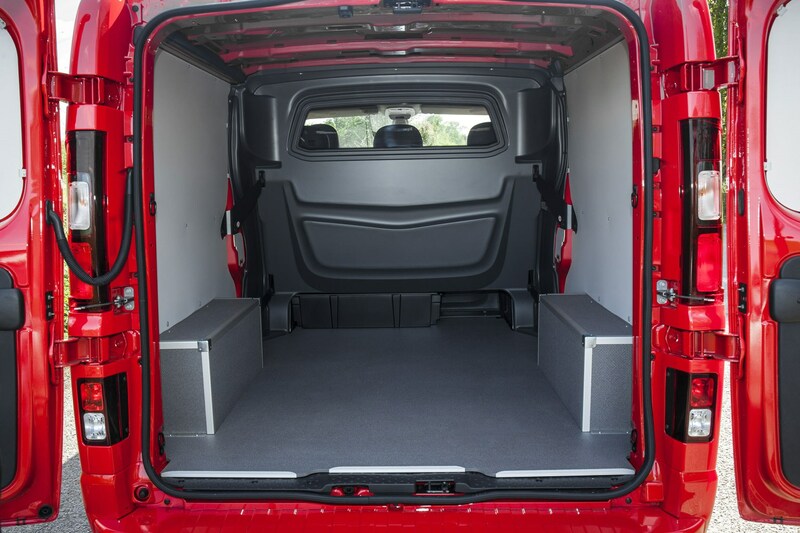 What are the Vivaro Doublecab’s load area dimensions? 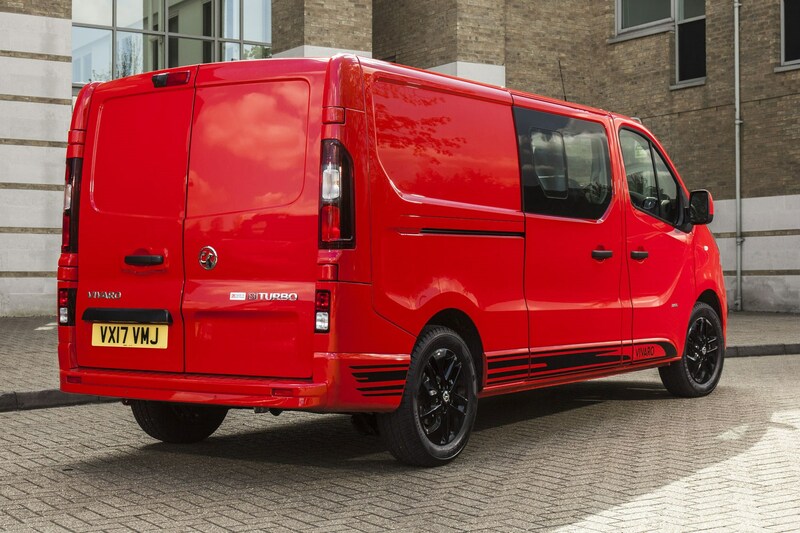 As an L2 model, the Vivaro we’re testing here is 400mm longer than the shorter L1, and this translates directly into 400mm more load space length as well – something goes for the Doublecab as well as the panel van. As you can see, there’s a still a generous 4.0 cubic metres of load space in the back, plus a 1,040kg payload rating – high enough to rival most pickups while keeping the load secure and dry. The maximum load length comes via a small extension under one of the rear seats, though, so don't get caught out by that. Do also keep in mind that the payload rating does also have to include the weight of all the people on board, and that being a Doublecab, you won’t be able to use the side doors for loading anything but those people. The 1.6-litre BiTurbo engines are the most fuel efficient you can get in the Vivaro; unsurprisingly the 125hp version returns better claimed mpg – 46.3mpg in the L2 Doublecab – but the 145hp equivalent still sounds reasonable at a claimed 44.8mpg. On paper, such figures actually land the Vivaro fairly far down the list of best medium vans for fuel economy, but in practice we’ve always found these engines to offer good real-world economy, so don’t be too swayed by brochure comparisons. All versions come with an Eco button, too, which reduces performance to improve mpg. It makes the van slower, but not so slow as to be unbearable. Vivaro service intervals are every two years or 25,000 miles, whichever is sooner – although these is an oil quality monitor, which may call for a service more quickly, depending on how and when the van is driven (short journeys in particular are bad for oil longevity). Warranty length is three years or 100,000 miles. You get only 12 months’ Vauxhall Assistance, however, should the van breakdown on the road – this is one difference between cost-efficient brands like Vauxhall and the likes of Mercedes-Benz, which gives you 30 years’ roadside assistance on a Vito, as long as the servicing is carried out by Mercedes. 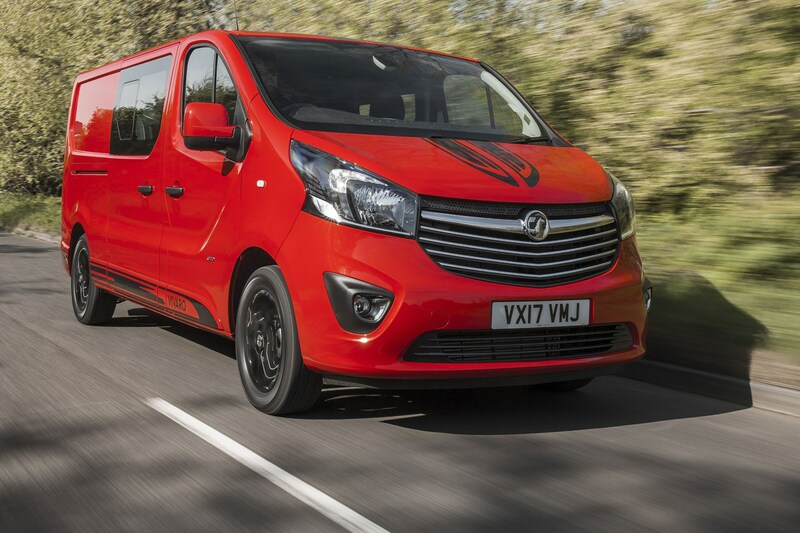 We like the Vivaro – it’s the only van still built in Britain, and it is well-made, good value and generally good to drive in addition to being sensibly thought out and practical inside. At £27,770 basic (at the time of writing), this Limited Edition Nav Doublecab continues the value trend, costing just £1,200 more than the Sportive equivalent, which isn’t bad at all considering the extra standard equipment. We’re still not sure about the stripes, and the driving experience didn’t impress us as much as we expected, but this is worthy alternative to the sportier-looking models from Ford and Volkswagen.